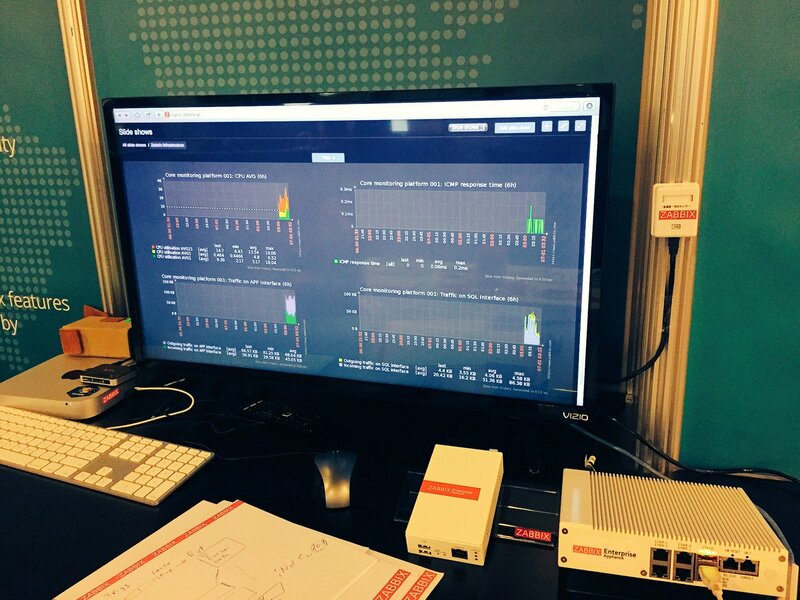 We were demonstrating the power of Zabbix in different fields, such as environmental monitoring, sensors and IoT. There was a sensor stuck to the wall, reporting the measurement of temperature and humidity. The whole setup was based on a tiny fan-less box capable of monitoring hundreds of devices. 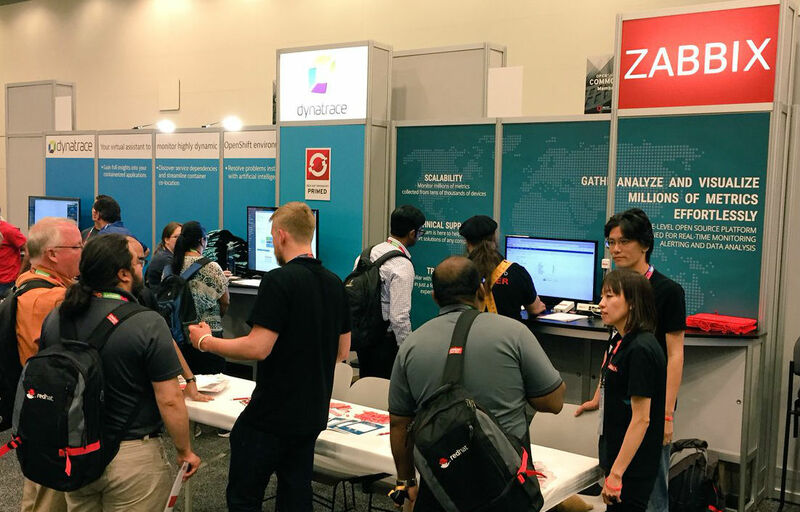 Apart from onsite real-time data collection and live demos, we highlighted multiple Big Data and cloud-based monitoring projects relying on Zabbix, like overseeing the huge and complex interconnected network of the world’s top-level domains, as in the case of ICANN as an example. 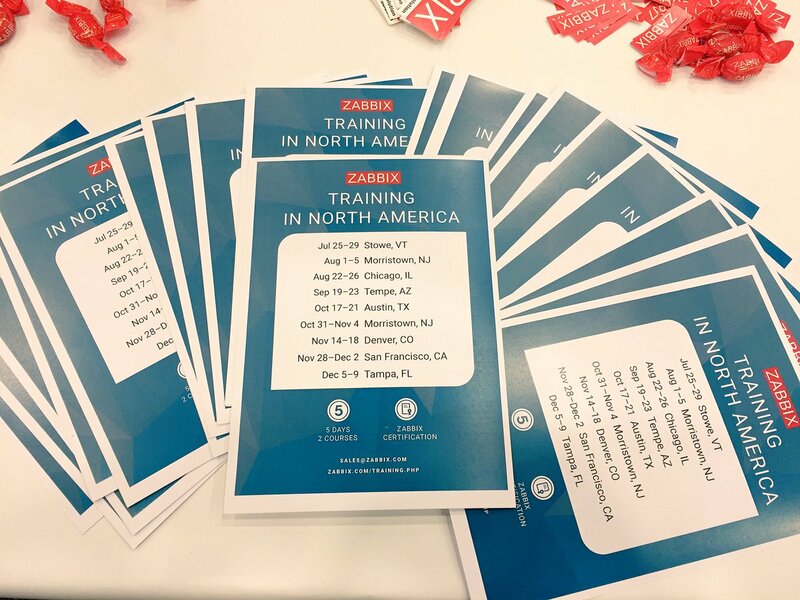 You could also hear discussions about Zabbix 3.0, the future of Zabbix 3.2 and the opportunity to get Zabbix certified as we have multiple Zabbix Training courses throughout the United States! More info at Zabbix training schedule. Thank you, Zabbix users, for your valuable feedback and interest in Zabbix. So many newcomers as well! Alexei Vladishev, CEO at Zabbix, had an opportunity to meet the Chief Executive Officer of Red Hat, Jim Whitehurst, and get the book devoted to open source philosophy signed for Zabbix Team. 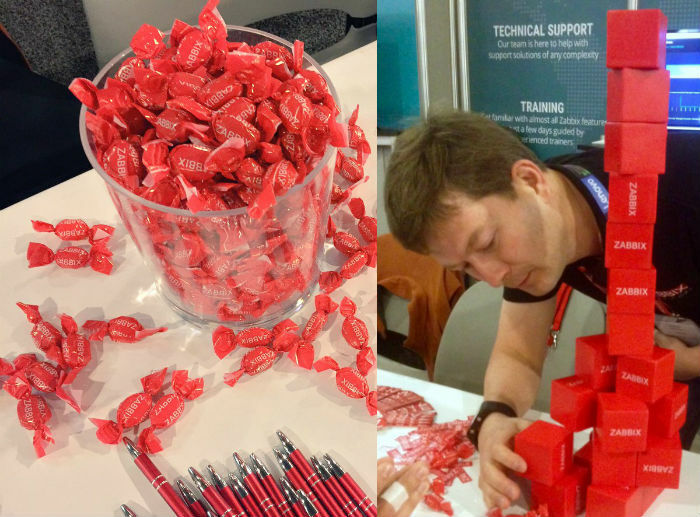 As promised, no one went away without some Zabbix souvenirs and candies! 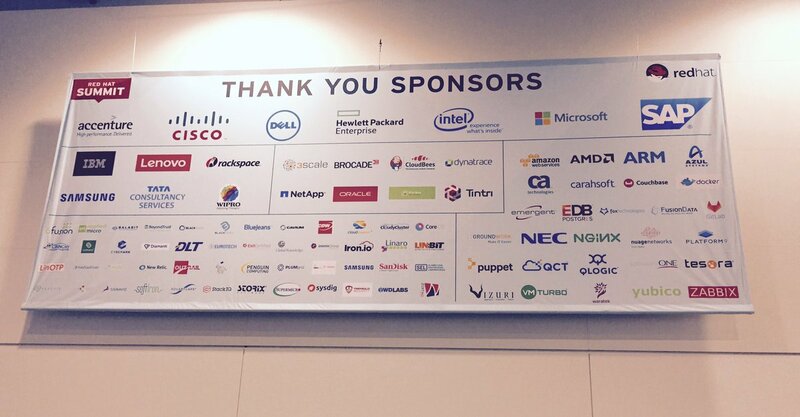 We were happy to be among the greatest friends and sponsors of Red Hat Summit this year! 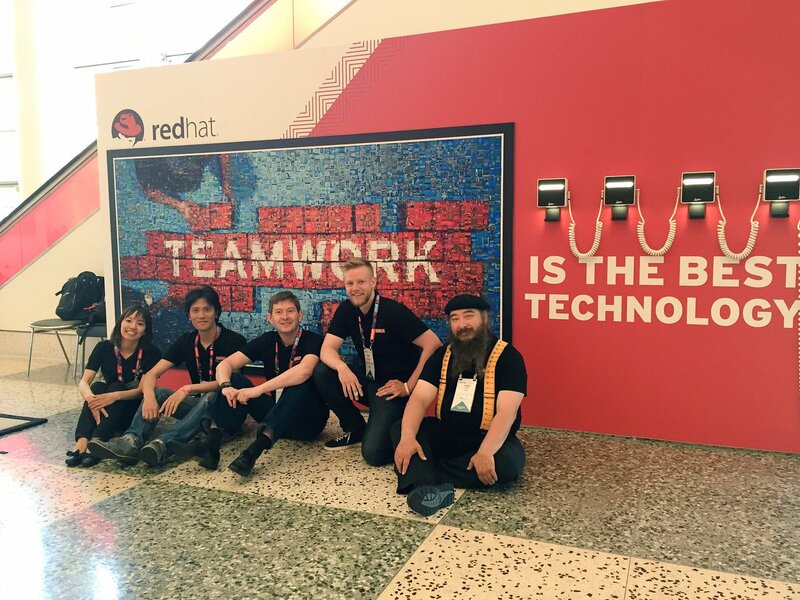 Thank you all and see you next May in Boston at Red Hat Summit 2017!